The Netherlands has suspended financial aid to the Rwandan government because of its alleged support for a rebel movement in the Democratic Republic of Congo (DR Congo), Dutch paper De Volkskrant reported Friday. 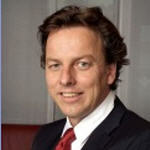 Dutch Development Minister Bert Koenders informed the Rwandan authorities of his government's decision Thursday, saying Rwanda does not deserve budget support now because there is "strong evidence" that the country is supporting rebels in the DR Congo. However, the decision does not affect Dutch humanitarian aid to the Rwandan population, De Volkskrant said. The Netherlands had planned to transfer 3 million euros (3.99 million U.S. dollars) to Rwanda this year and another 4 million euros (5.32 million U.S. dollars) next year. According to a UN Security Council report, Rwanda has allegedly supplied military equipment to the Congolese rebel movement - the National Congress for the Defense of the People (CNDP) -- and helped recruit Rwandans for the group. Rwanda has denied the accusations.